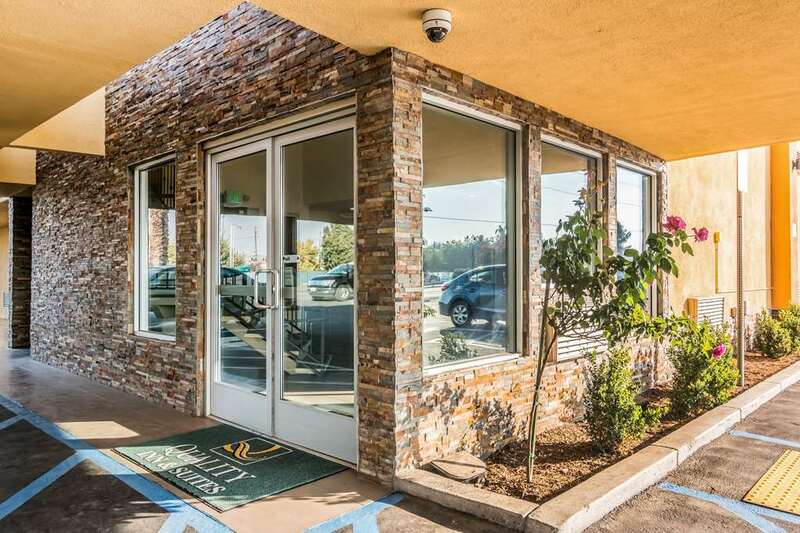 Welcome to the Quality Inn and Suites near Downtown Bakersfield hotel in Bakersfield, CA, conveniently located off historic Highway 99. Our hotel offers top-notch amenities in every guest room to make your stay memorable. No matter what your reason for traveling you will find ample activities like hiking trails, biking, rafting and movie theaters. Our hotel is close to many shopping areas like Valley Plaza Mall, Rabobank Arena and Buck Owens Crystal Palace where you can enjoy an evening of special events year-round.